Cool, stylish, lightweight and excellent for warm water dives and long snorkeling sessions. High level of finish on all details including neck custom closure and back zip puller. Ergonomic comfortable Velcro closure and back zip puller. Aquastop finish on arms and thighs. Also suitable for multiple watersports. 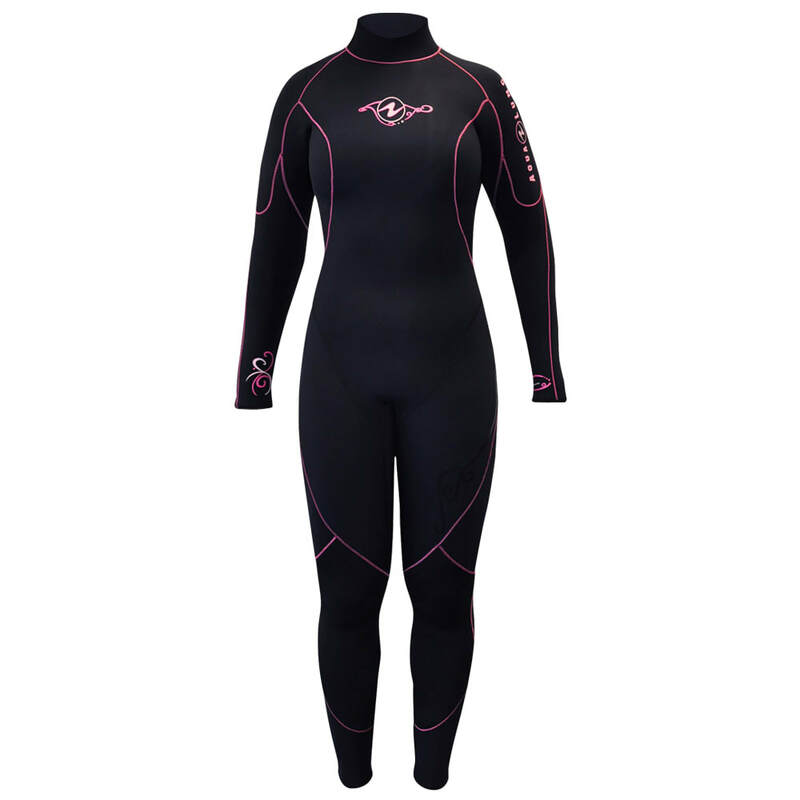 Nixie is a high-quality wetsuit for use in all watersports activities. Made specifically for women, it uses our proprietary blend of neoprene materials in a fashion-forward design that hugs and flatters the natural lines of the female form. Not purely functional, Nixie is a stylish and versatile wetsuit that inspires adventure and celebrates self confidence. ​When a little warmth is all you need, stay comfortable and protected with the HydroFlex 2mm shorty suit. This suit is ideal for scuba or snorkeling—when you get home, you’ll remember the fun and not the sunburn. The colors and stylish graphics complement the rest of the Aqua Lung products. New modern design with shoulder grip area. Cool, stretchy, and ideal for temperate water. Ergonomic, comfortable velcro closure and back zipper. The wrist, ankle, and neck seals are enriched with Aquastop Finish. With a soft, stretchy rubber panel on the chest its also suitable for multiple watersports. 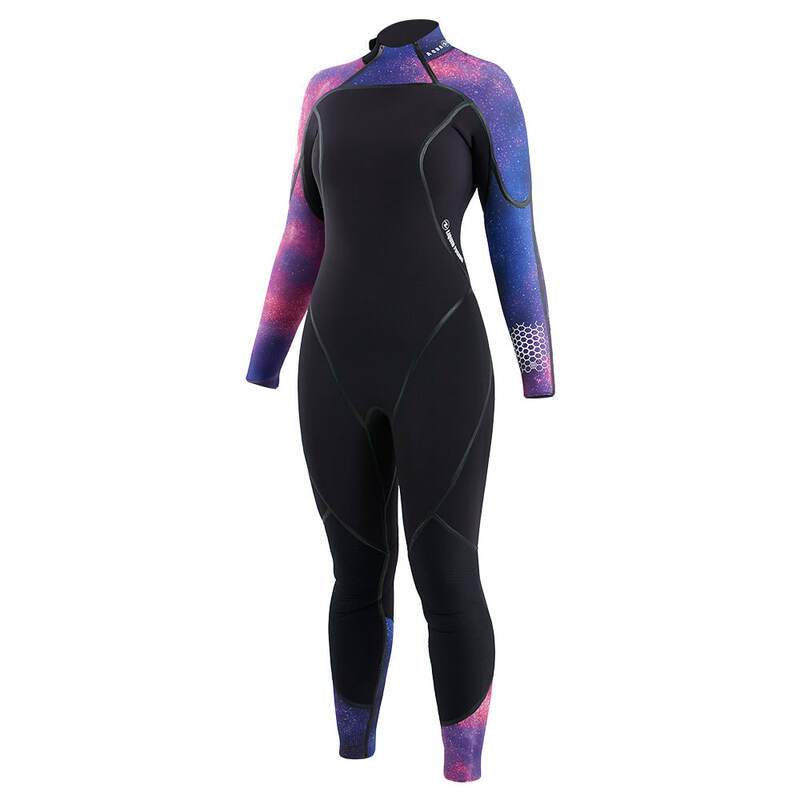 Nixie is a high-quality wetsuit for use in all watersports activities. 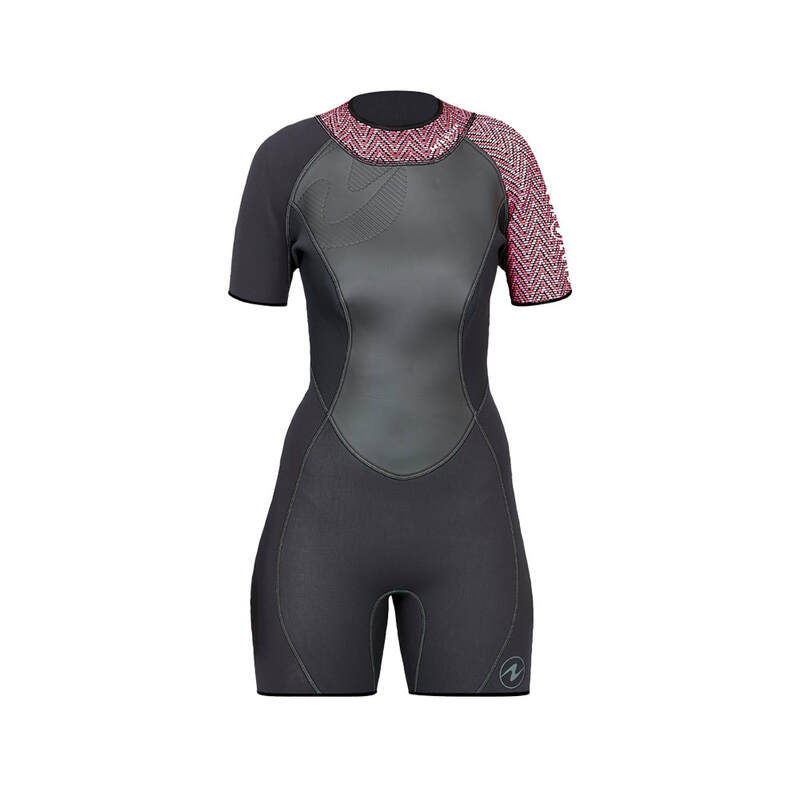 Made specifically for women, it uses our proprietary blend of neoprene materials in a fashion-forward design that hugs and flatters the natural lines of the female form. Not purely functional, Nixie is a stylish and versatile wetsuit that inspires adventure and celebrates self confidence. Inspired by sleek slimming design lines and offered in a variety of fashion forward colors. The AquaFlex jumpsuit line, with super-stretch neoprene, provides the ultimate in comfort and quality. The suits are made with AquaFlex neoprene which has three times the stretch of standard neoprene, making the suit easy to get on and off and also ensures a great fit for every body shape. The cuffs are all fused with the X-Tend technology which minimizes fraying and maximizes stretch. The left sleeve is outfitted with a silicone traction pad to keep wrist dive computers from rotating when neoprene compresses. A revamped version of the original Pioneer wetsuit from Mares. The blue, 7mm version is dedicated to colder waters and guarantees maximum comfort , including an ankle zipper to facilitate donning. The She Dives version, dedicated to the female form, guarantees the best possible fit.